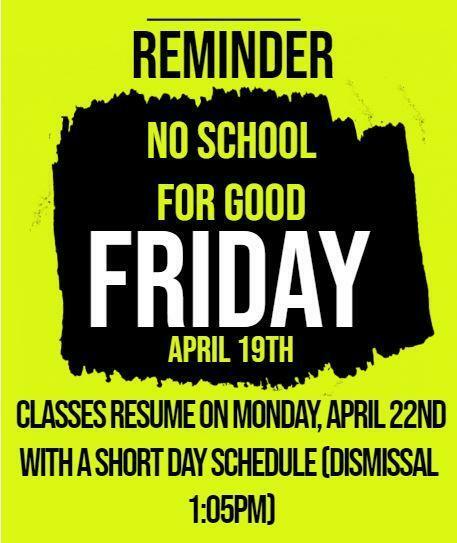 Due to Good Friday there will be no school on Friday, April 19th. 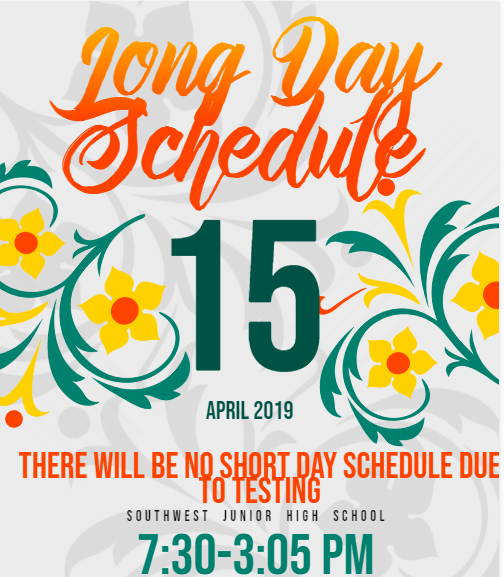 Classes will resume on Monday, April 22nd. 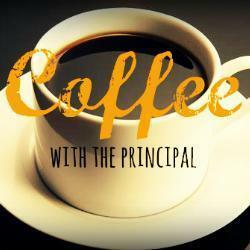 with a short day schedule. 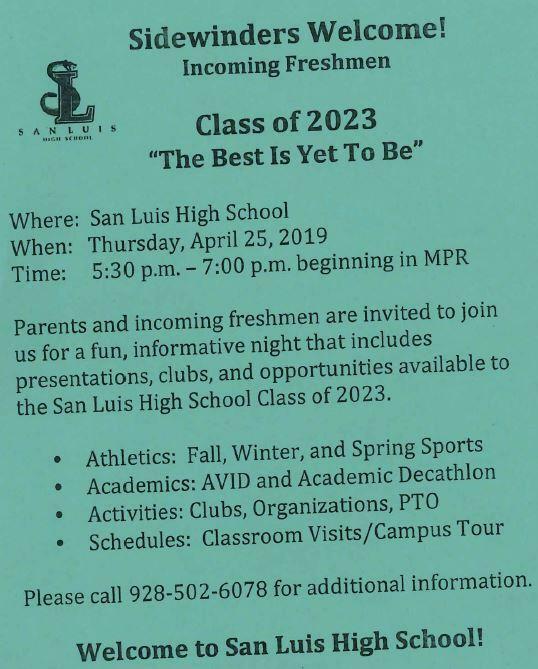 There will be an informative meeting for the incoming freshmen at the San Luis High School this Thursday, April 25th. 5:30 pm. Save the date and get to know all the crucial information for the SLHS Class of 2023.